What is logistics? In the minds of most it would simply mean the movement of items from point A to point B. 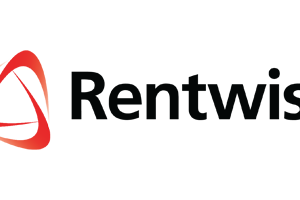 After having worked two years at Rentwise; an interesting and rewarding career journey so far, I can truly say, I’ve learnt most of the ropes. To put things into perspective, logistics is all about planning and managing the receipt of incoming supply, its movement within the organization and the delivery of finished products to the end user or client. As a Logistics Team Lead, I am responsible for and manage all the activities involved in this process. My job is intense. Given the nature of the business we’re in, I am also involved in the End of Rental Returns process. Here I have to facilitate the delivery of packing materials (e.g. boxes, bubble wraps, etc) to client sites nationwide which is part of the decommissioning process, but my responsibility extends well beyond the confines of the warehouse, allowing me to be in touch with various internal and external stakeholders throughout these multiple projects. In Logistics, timing is crucial. There are times when things just don’t go as planned. Bad traffic and adverse weather conditions are a norm to deal with. Maintaining a cool head and ensuring effective communication between team members and the drivers while keeping both Sales colleagues and clients alike abreast of the situation helps takes the edge off what could sometimes be very challenging situations. Managing expectations is also one skill I’ve realized is exceptionally important to build. Good planning and a structured process in managing Logistics is the trick to deliver a smooth experience. Advance planning is also essential to make sure there are no last minute loose ends that will upset delivery schedules. My work requires close collaboration with my internal customers; Sales, Production and Supply Chain. No one department is more important than the other and I want happy customers both internally and externally. I’d like to think that Logistics is just one but a very important cogwheel in a complex organisation ecosystem that contributes to our collective performance. This is where the importance of teamwork and co-operation comes in! It’s good not to be too calculative at times. Sometimes, I find myself staying back late after work to complete unfinished tasks. It’s a job that needs to be done and at that point in time, the interests of the company should supersede that of my own as the operations of other departments depend on my department’s deliverables. Many times I find myself needing to settle certain matters urgently in the most practical and effective manner. This undoubtedly flames the creative fire within. I got to learn to see through the obstacles and focus on making things happen. I also learn how to prioritize and slice through unnecessary disruptions. Most importantly, I have to learn to say “No” when it matters. The most rewarding experience here at Rentwise was when I got promoted to my current position. It felt good to be appreciated and recognised for my hard work and contributions. The promotion empowered and motivated me and has improved my problem solving and decision making skills. Today I’m more confident of being able to work under minimum supervision and I have developed good, multi-tasking abilities. I’ve also learned the importance of delegation, to know when and how to delegate tasks effectively and how to encourage others to excel and deliver results. Stress is inherent in any job. Solitude is one of my answers to combating stress and I also listen to music to further relax myself. When it gets too “hot”, I resort to singing. Recently I’ve also started reading fiction books not only as a way to relax, but also to brush up my English grammar and vocabulary skills. Apart from taking a special interest in all things automotive, I love playing badminton with my friends and colleagues.